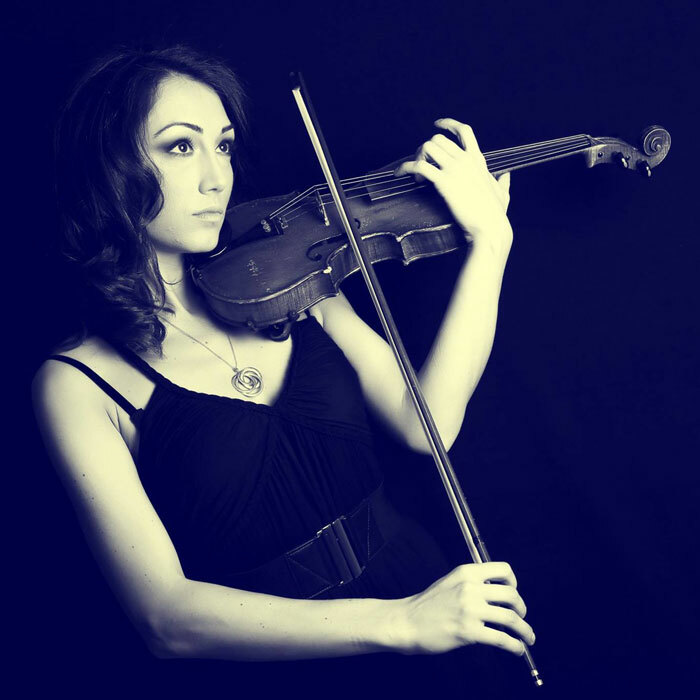 This solo violinist is based in London and is available for weddings and private functions alongside her busy concert schedule and is a graduate from The Royal College of Music. 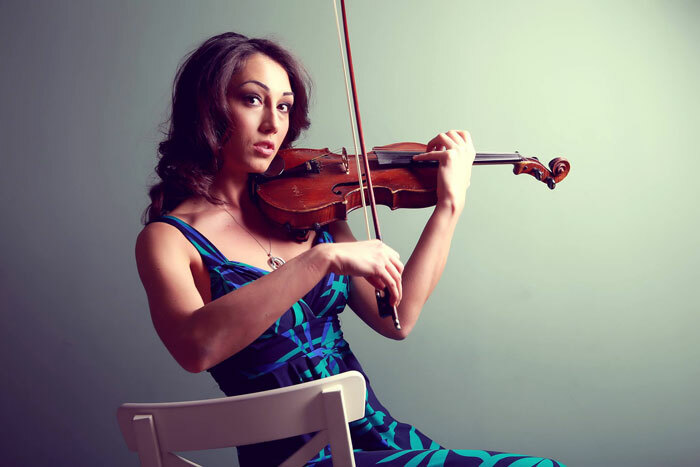 She was born in Romania and started the violin at the age of 4 years old with her mother, an accomplished musician and leader of the ‘Gaudeamus’ String quartet. 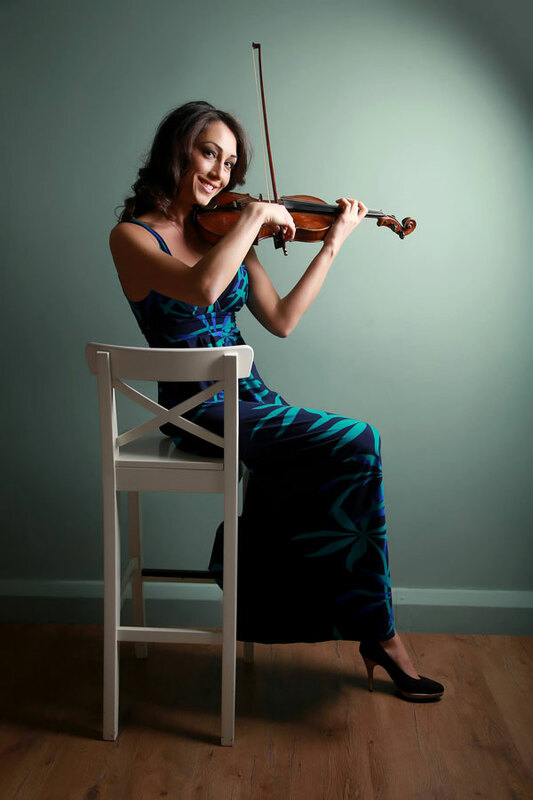 Later on, she studied violin at Brasov Music College and proved her excellent ability at many national and international violin competitions. After winning a national competition in 2006, she was awarded the “Constantin Silvestri” Scholarship to study at Pocklington School in York, England, as well as a full music scholarship at Wellington College the following year. In 2008 she won 2nd prize at the Hickies Reading Young Musician Competition and the opportunity to play with the Reading Symphony Orchestra. 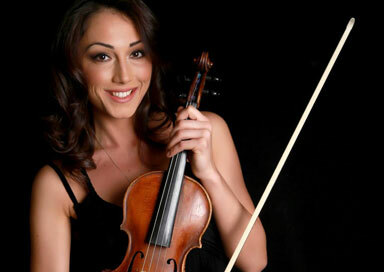 She has given many violin recitals and concerts both as a soloist and as part of different orchestras at many important concert halls across Europe (Greece, Poland, Italy, Germany, France, Spain and UK). She performed at Royal Festival Hall, St-Martin-in-the-fields, Cadogan Hall, Royal Albert Hall (part of the 1st violin section of the English Chamber Orchestra), Wigmore hall and many other prestigious venues. In 2013 she graduated with Honours from the Royal College of Music in London, where she studied with Yossi Zivoni. During her time at the College, she has attended Masterclasses with Remus Azoitei, Lewis Kaplan (Professor at Julliard School) and had chamber music training with the Chilingirian String Quartet. She has been heavily actively involved in many orchestral and solo projects, been asked to lead orchestras (King’s College Chamber Orchestra), performing Mozart A Major Concerto as part of a Masterclass Series, as well as having a more commercial and modern approach - In February 2015 she was commissioned by HBO to play for their 4th season DVD release in London, a highly mediatised event. In September 2015 she also performed in front of almost 1000 people at the G Arena popular snooker themes before a match between Ronnie O’Sullivan and Jimmy White MBE.